This summer is an events/wedding nightmare. 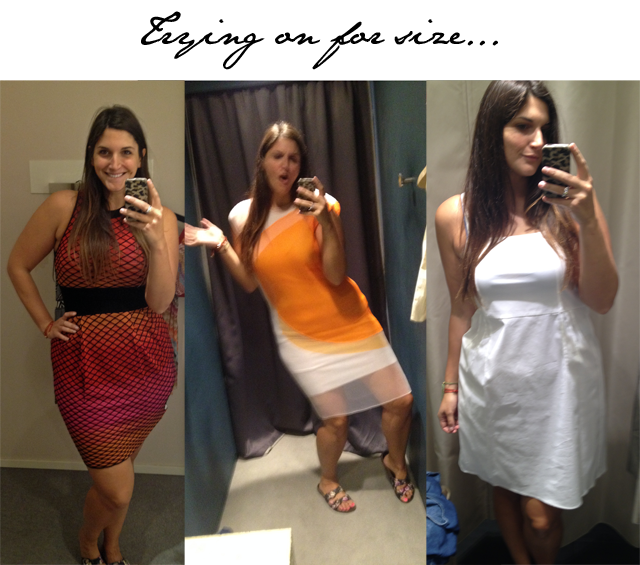 Not quite sure how it became one of the busiest summer on record, but I have been more than a little stressed out about finding attire for everything under the sun (well, at least I'm hoping all events are under the sun). My shopping adventures began on Oxford Street and the experience damn near killed me. Turns out I don't have the stomach for hysteria. Who knew? There's something about summer and Christmas shopping that brings out the mad people in London. While in Topshop, I actually had a hanger tugged out of my hand as I went to pick it up off the rack. The woman apologized and then ran off with the dress. I just stood there like a stunned moron wondering if I had entered into a parallel universe. Then I tried Bond Street. While I could have shopped here for days, unfortunately I don't have an unlimited credit limit with American Express and I'd like to still have a home to live in at the end of the month. I'm afraid if I was let loose on this street, I'd be the best dressed woman living in a gutter. I could just see it now: FFG spotted walking the streets of London with her high heeled Louboutins and an oversized Celine bag carrying all her essential designer goods, no home in sight. So where does one find the in between? 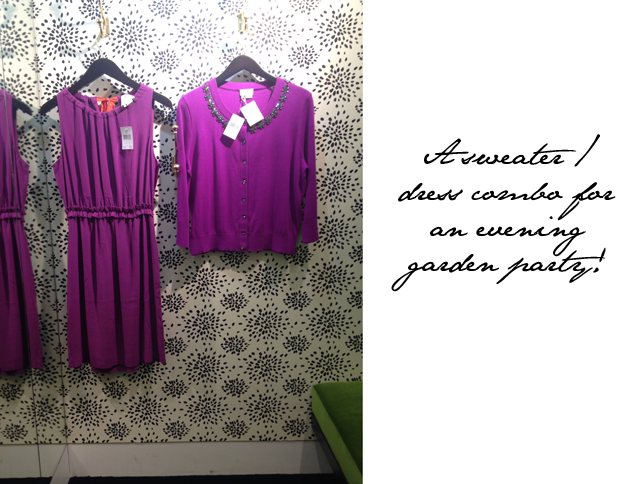 Where does one find great designer pieces, reasonable prices and a group of shoppers that won't knock you over for the last dress in their size? I'm not quite sure why I didn't think of it before but naturally the place that fits the bill is Bicester Village. I've written about them tons of times before. I'm a huge fan of the designer shopping village and try to make the pilgrimage to this shopping mecca at least twice a year. 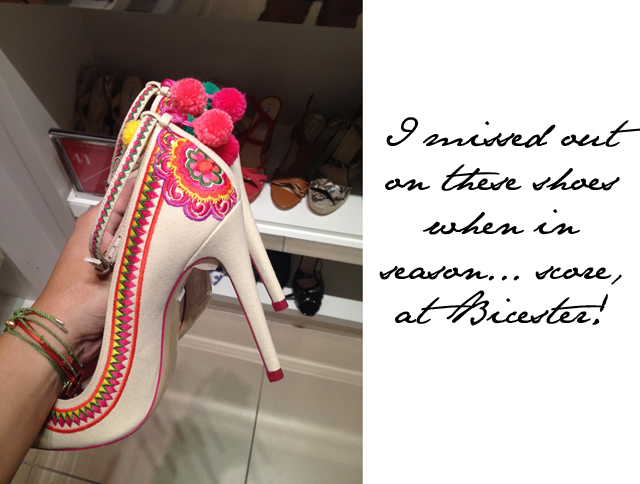 For some reason, time had gotten away from me in 2014 and it had been a year since I last visited the outlet shops. Could this be the answer to me summer shopping dilemma? Last Saturday, I threw on a sundress (the easiest thing to shop in as you just pull on and off in the fitting room and you're done - can you tell I'm a professional shopper?) 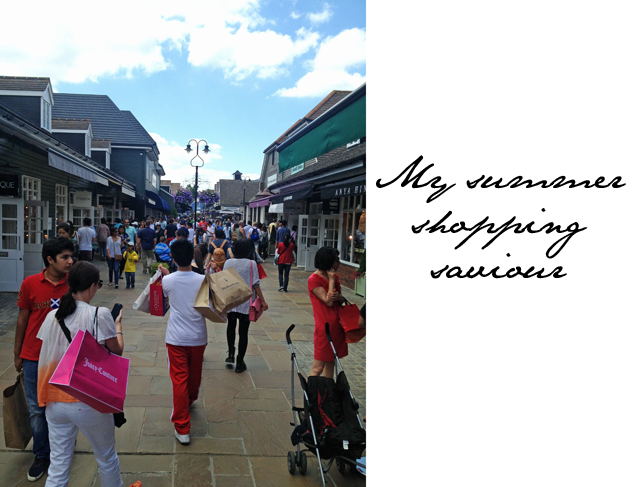 and I headed for Bicester Village. I arrived around noon and expected things to be marginally crazy, as it was a Saturday. Surprisingly, the village was very calm. People walked at a leisurely pace and I found more people enjoying moments out to eat or drink coffee than those who were shopping. Yes, now I remember why I love Bicester. 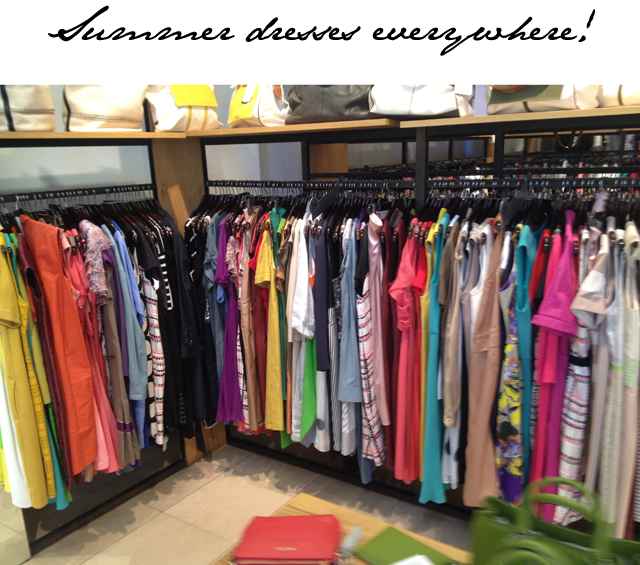 This is destination shopping at it's best. People actually travel to get here, they make a day of it and enjoy themselves, rather than frantically trying to grab what they need and dash off. Now, the bummer here ends up being that I'm not allowed to talk about any of the brands that I bought from. Apparently there are some strict rules at play here for being able to take pictures in shops and share about your finds. This is a shame. But, all shops are listed over at the Bicester Village website. There are no secrets there so go have a look. I'll say this. 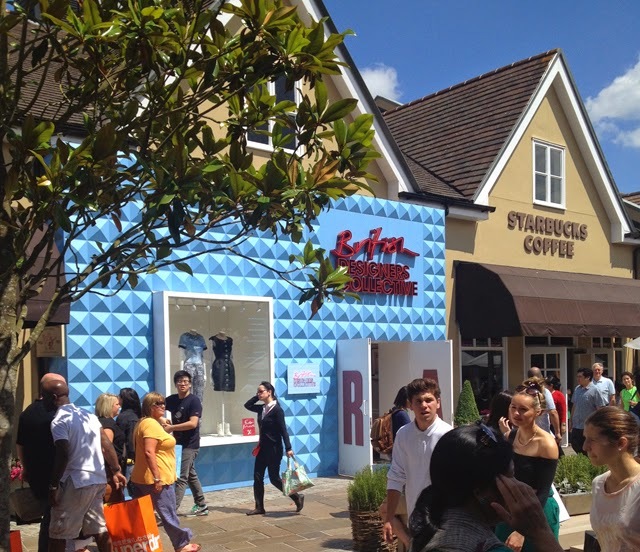 Every brand you can think of in the high designer arena, you'll find at Bicester Village. And it was the existence of those shops that saved my bacon for weddings this summer. Every woman's biggest fear is in turning up at a wedding wearing the same thing as someone else. That isn't too likely to happen if you're buying past seasons. Ok, that's at least my crazy rational. Two weddings in and it's working like a charm. Now, let's just hope Fourth of July- the next big event- is as lucky.